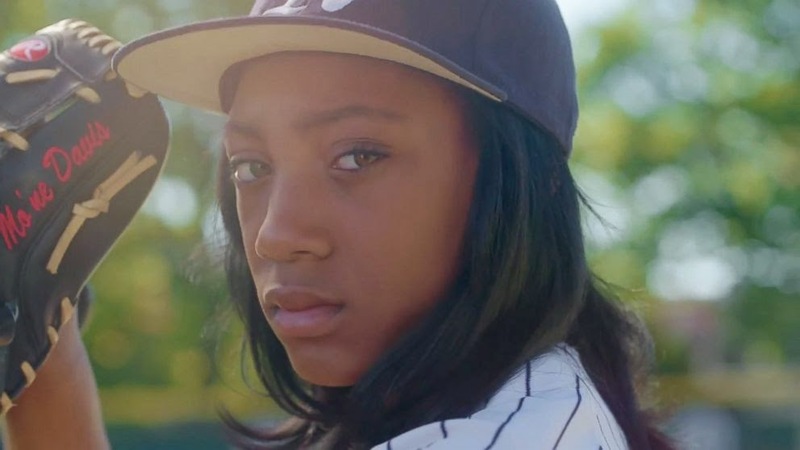 Mo'ne Davis has had an awesome year. She first wowed the world with a series of great pitches during the Little League World Series. She showed little to no mercy and her athleticism paired with her charisma in interviews encouraged everyone to continue to get to know her. Unsurprisingly, baseball isn't the only sport Davis excels in, in fact, she plays soccer and while she's still in middle school, already plays varsity for her high school basketball team. Honor roll student Mo'ne is well-rounded, levelheaded, and smart. Mo'ne has had the opportunity to grace the cover of Sports Illustrated, meet The Obamas, star in a Spike-Lee directed commercial, march in Macy's Thanksgiving Day Parade, present Pharrell Williams with his Soul Train award, and the list never ends. Due to all of her achievements, it's no wonder that she was selected for the Associated Press award. For the award she beat out athlete Lauren Hill who played her first college game while battling terminal brain cancer, and fellow icon of ours and three-time winner, Serena Williams. It's an understatement to say that Mo'ne has earned her newest honor. Continue reading about Mo'ne Davis's achievements and future plans.